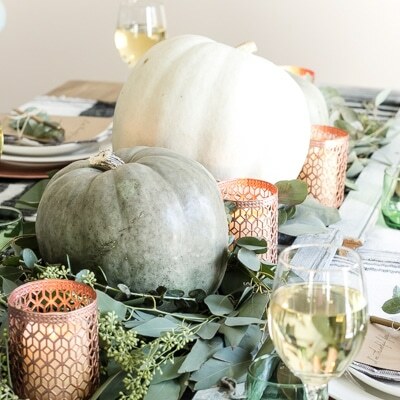 Thanksgiving entertaining can be stressful when you have a lot of guests coming and lots of food to prepare, so I thought I would share a few of my entertaining tricks and a few simple recipes. I’ve got 8 tips for you today, unless I miscounted, which is totally possible. Of course I’m going to mix and match my dishes like I do most of the time. Today I’m starting with a large white charger, then using Italian lavender plates, topped with antique English blue and white plates with lavender cabbage bowls. I used these charming mini pumpkins for each place. TIP 1: Use a real mini pumpkin at each place. The guests can take them home for a fun party favor. TIP 2: If you need some height on your table, use napkins in the glasses. I used these sweet gray napkins with the edge stitching. Look more purple dishes! TIP 3: If you use old dishes and are not sure if they have lead paint on them, be sure to use a glass plate between the food and the plate. 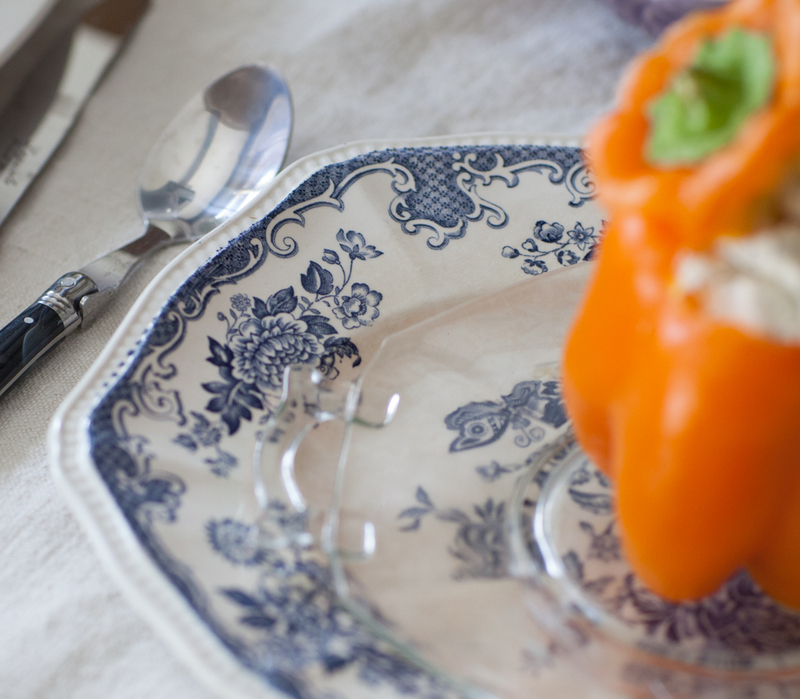 Since these blue and white dishes are so old, I used a glass plate under the food. I’ve tested a bunch of dishes in the past, and rarely have I found any with lead paint on them. 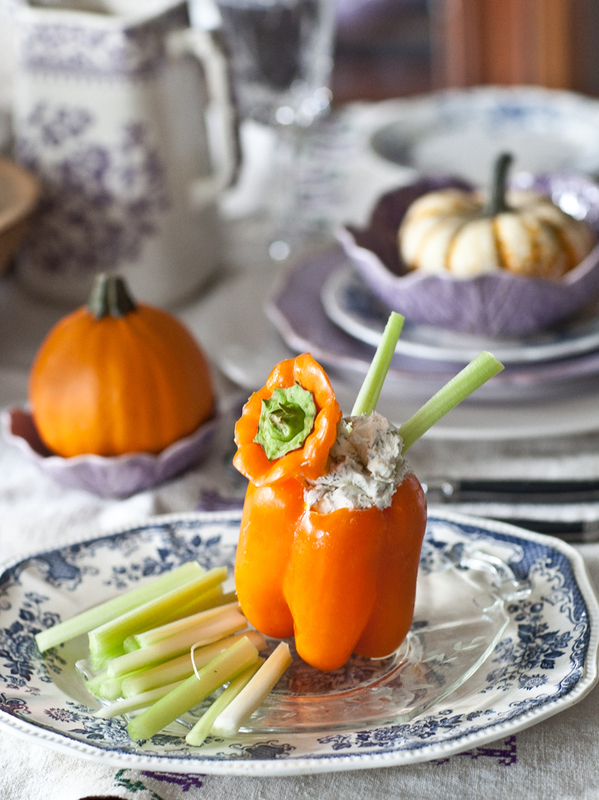 TIP 4: Use an orange bell pepper as bowl to add a ‘pumpkin’ look to your table. TIP 5: Make an easy appetizer like this dill spread. You can make it a day ahead. I’m going to be honest; I made up this recipe while I was putting it together, so I’ve never made it before. But it tasted pretty good, and was super easy, so I thought I would share it with you. I don’t use a lot of recipes, so the amounts are approximate. Blend mayonnaise and cream cheese together until smooth. Then incorporate dill weed and garlic. Salt to taste. Cut celery stalks into 4 inch sticks. Carely cut around the stalk on the bell pepper, carefully keeping it intact. Remove seeds for top and base. Do any leveling required for the bell pepper to sit securely. I cut off a small portion from the bottom. Then fill pepper and return the stem to use as a lid. Serve with celery or crackers. 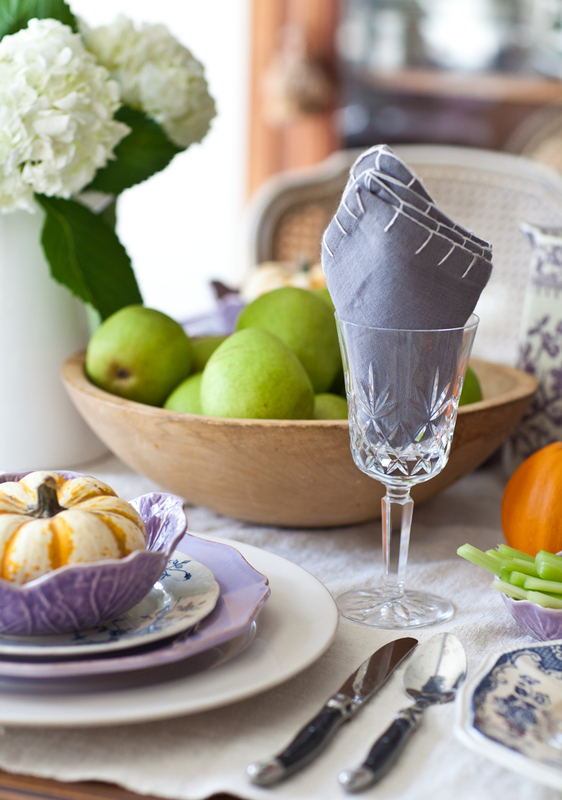 TIP 6: Use apples or pears as part of your Thanksgiving decor. 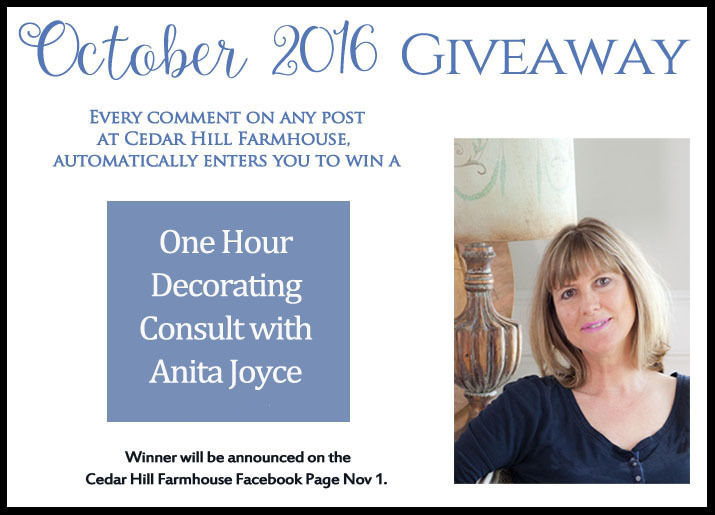 Leave a comment to enter my contest! Someone’s going to win a few consult! Details here. 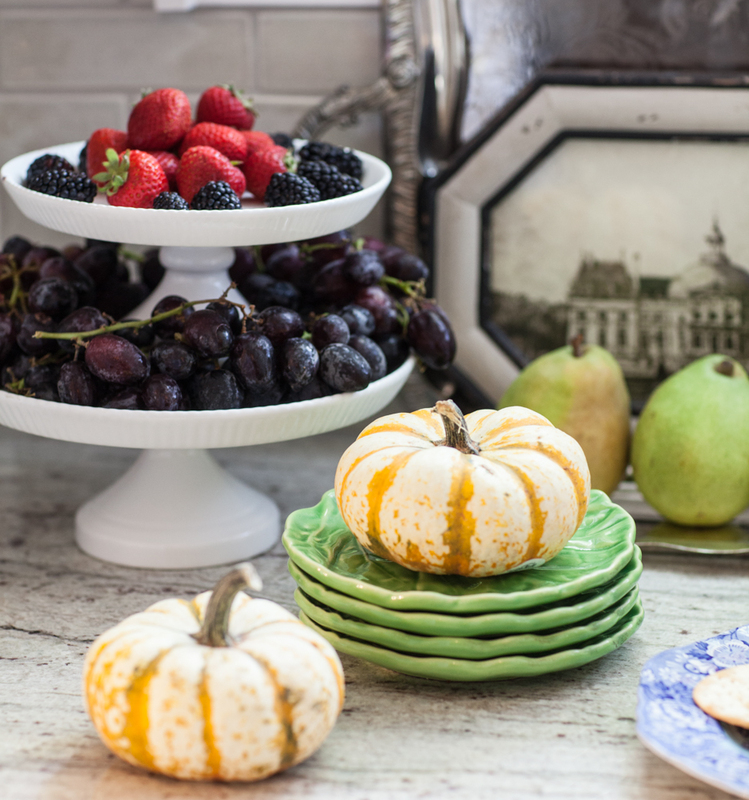 TIP 7: Use fresh fruit to fill out your dessert table. Some people will want something light like fruit, and it makes your dessert table look more full and colorful. 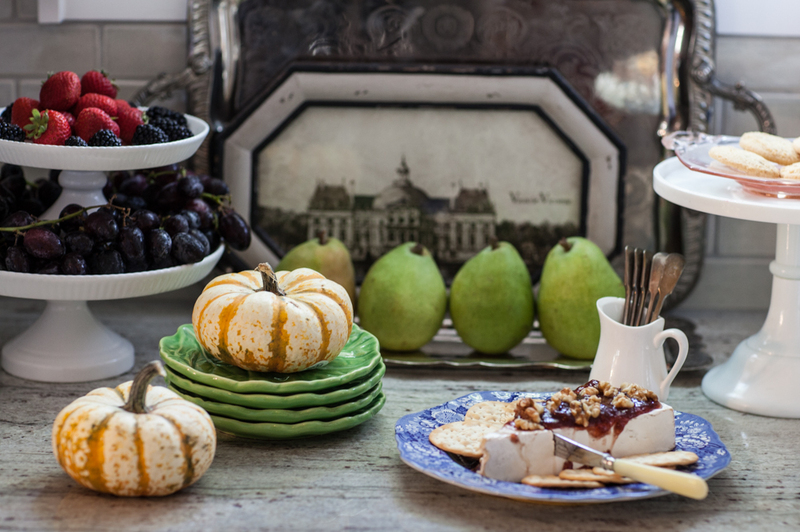 TIP 8: Add a plate of brie for a simple addition to your dessert table. Let Brie come to room temperature to make sure you maximize the flavor. Top with preserves. 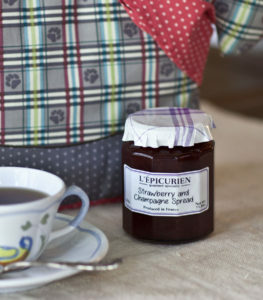 I used this strawberry and champagne spread from France, I sometimes carry in my shop. Make sure the brie is covered with the preserves. It’s okay if they drip down the sides. Top with walnuts and serve with crackers. As a variation, I also use honey in place of the preserves. Be sure to check out the other blogs on this holiday entertaining blog tour. Thanks to Designthusiasm for organizing this fabulous tour! I absolutely love the Italian lavender plates with the white chargers! My preteen granddaughter likes to help with appetizers. These will be great additions to her recipe file. Thanks for sharing! 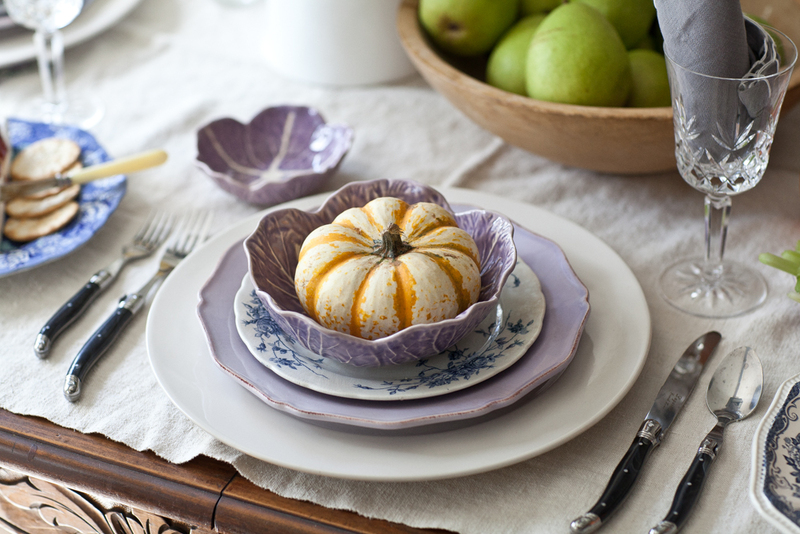 I’m crushing on the lavender plates and cabbage bowls! Great recipes! I’m adding some of these to my list of must do recipes. Beautiful table Anita! Love the dishes, and the grie recipe sounds yummy! Great tips, Anita. 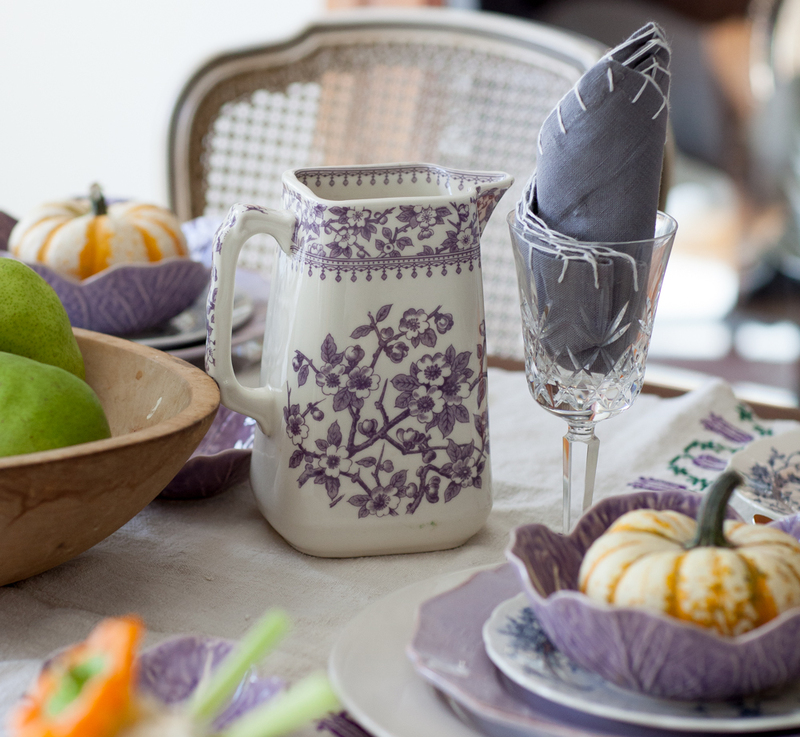 Love that touch of lavender in your tablescape! wow, these are such great ideas!! My fave is the take-home mini pumpkin! 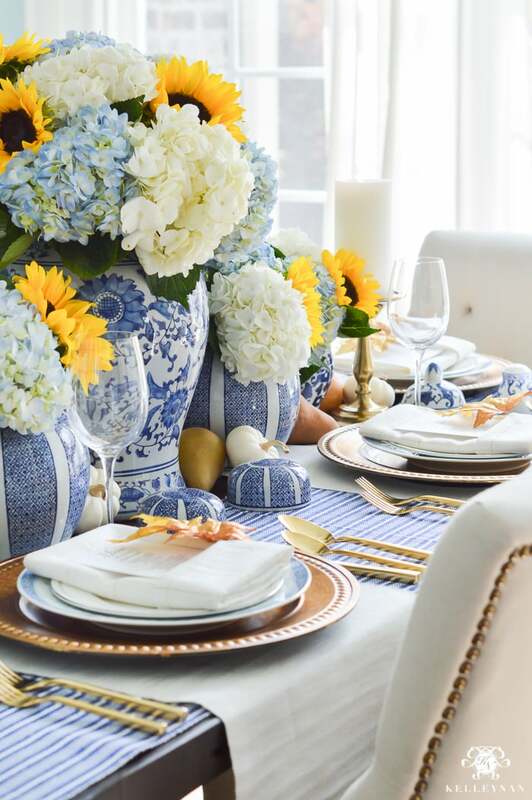 I love your simple entertaining tips! I can’t wait to try the fruit and cheese one! Everything looks so beautiful! I LOVE the colors in the yellow bell peper with the dill mix inside. My sister in law told me due to space considerations, we will probably eat Tfhanksgiving dinner on plates in our laps. There is room for a church table. Only 8 people are attending. 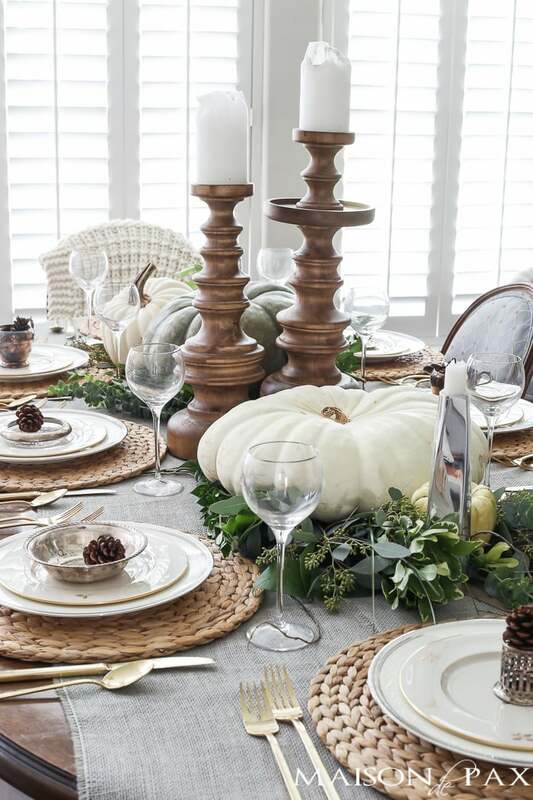 Is it too presumptuous to offer to bring a a table to Austin and set up a Thanksgiving table. I dislike eating in my lap for such an important day, BUT I am the guest. Yummy, can’t wait to try that dill spread! Everthing looks so beautiful! I love the lavendar and gray, going to try those recipes. I like the idea of fresh fruit on the dessert table. I also like anything with dill. Yesterday I went to a pumpkin patch. They didn’t have mini pumpkins. These would be great as a favor. Would love to experience a holiday meal at this table!! Love it!! I loved your tops, Anita! Your setting is so pretty and I’m super excited to be doing this fun tour with you. Happy Thanksgiving!! 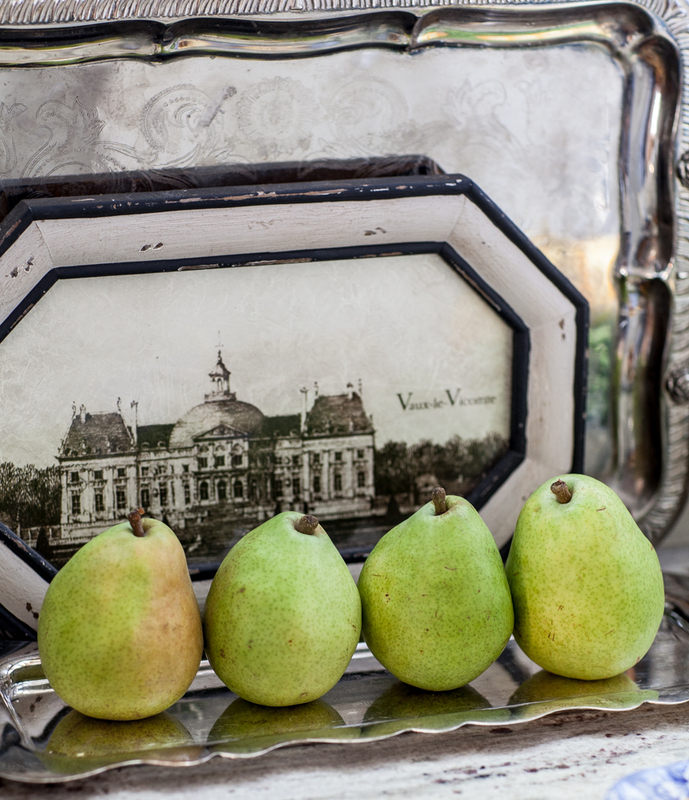 Your tablescape is beautiful Anita! I love the colors you chose! 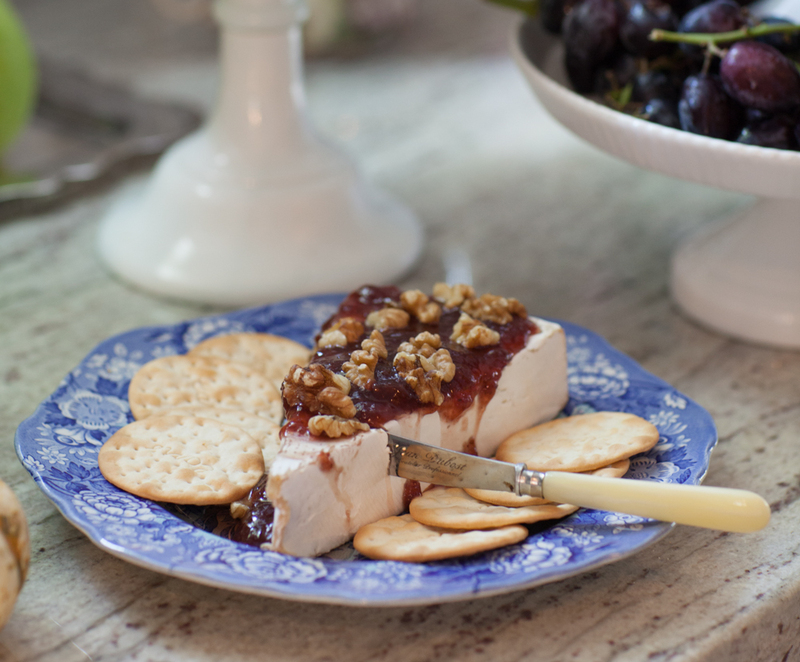 What fantastic tips and recipes and the brie cheese looks incredible! I love your use of color on your table too, the purple is so pretty! 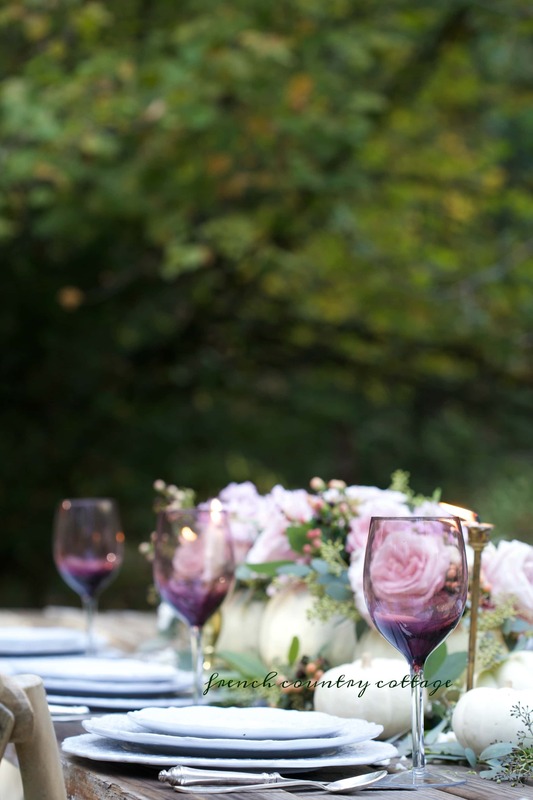 Gorgeous table Anita…Love the combinations of the beautiful blues, lavender and green! I am using your idea for the individual cheese spread appetizer at each setting! May you and your family have a most wonderful Thanksgiving. Yum! I want to make that brie right now. Beautiful as always, Anita. Anita, I want to make that dip ASAP! And, I love that you served it inside of a pepper. Absolutely beautiful. I love that you included recipes, both of which look delicious! And your decision to use lavender is brilliant. I love unconventional that works. 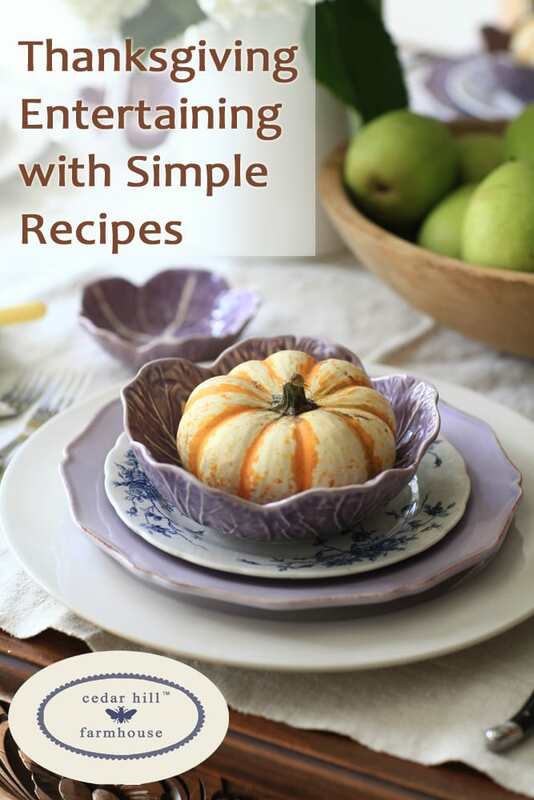 Great looking recipes….pinning and planning on trying them out! I just love brie with any sort of fruit or jam so that suggestion is a keeper! 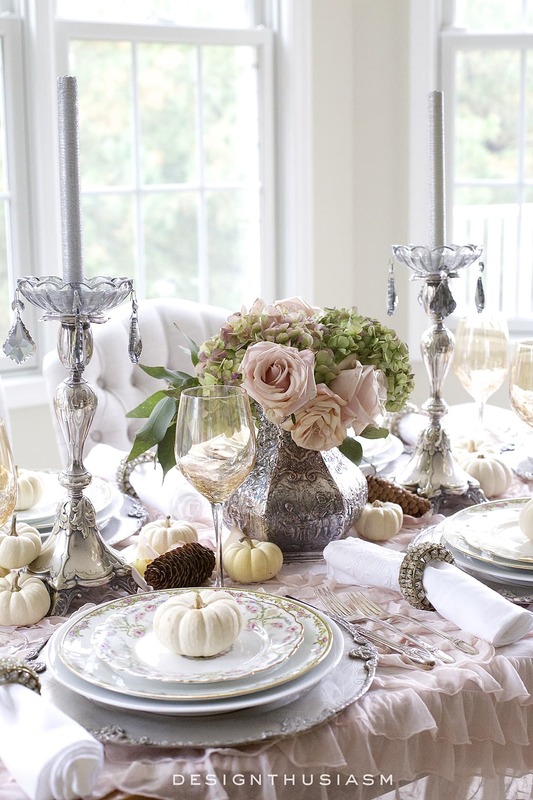 Love your table too…so simply elegant. The lavender plates are a beautiful change of pace! This is a very relaxing setting and thanks for the inspiration.